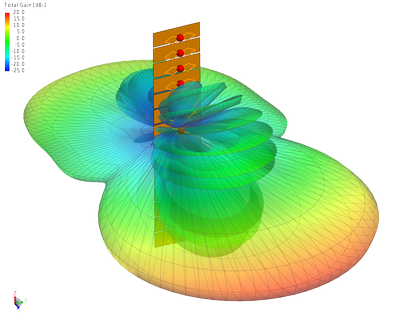 Altair’s electromagnetics solver suite in HyperWorks, FEKO, is a global leading comprehensive electromagnetic software widely used mainly in the aerospace, defense, automotive, communications, consumer electronics, energy and healthcare industries. The suite includes a set of accurate, powerful and reliable solvers with true hybridization, i.e. solvers can be combined in the same problem to more easily and efficiently solve it. FEKO is easy to use and it has an integrated GUI from geometry modelling to results visualization, post-processing and report generation. Meshes created with HyperMesh can be easily imported into FEKO as well. It includes a set of specialized features and a built-in scripting tool for advanced data manipulation and tasks’ automation. Besides FEKO’s built-in optimization techniques, it is integrated into HyperStudy to perform multi-disciplinary design exploration, optimization and stochastic analysis. Note: The FEKO Student Edition does not support geometry import and export filters. It will however allow the export of Parasolid geometry. Number of objects in database smaller than 501. Number of objects in database smaller than 2001 (same as urban limit). Number of buildings smaller than 501.